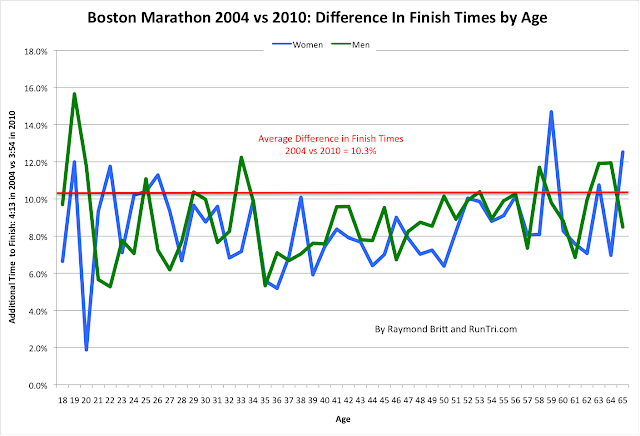 We've crunched the numbers to compare Boston 2012 against both Boston 2004 and a more representative Boston 2010 by race division, by gender and age, and more, including average results for each of the 5000+ global cities represented on race day. 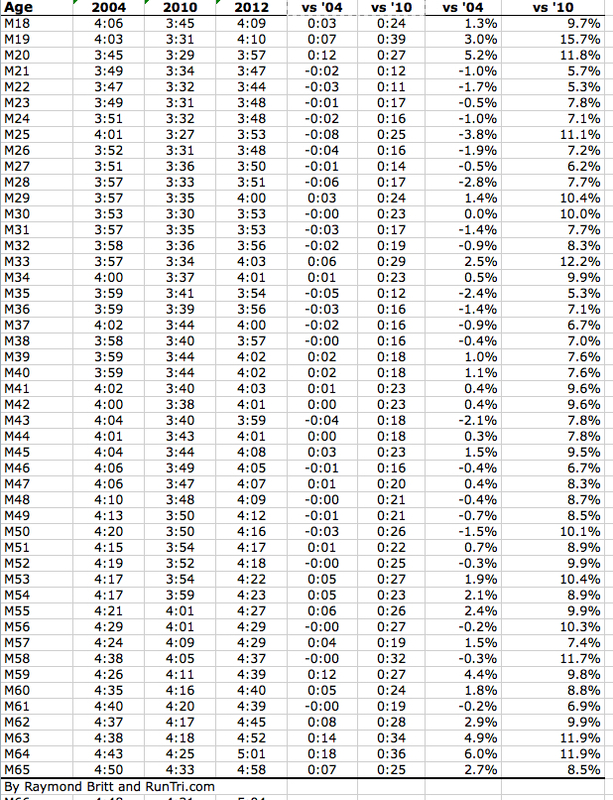 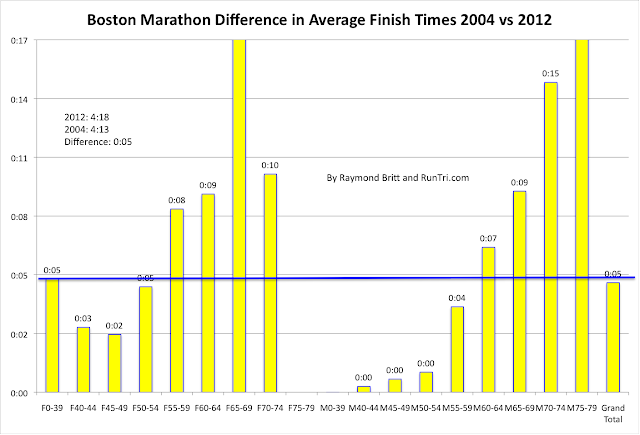 How well did you do vs your division, other runners your age, vs 2004 and 2010? 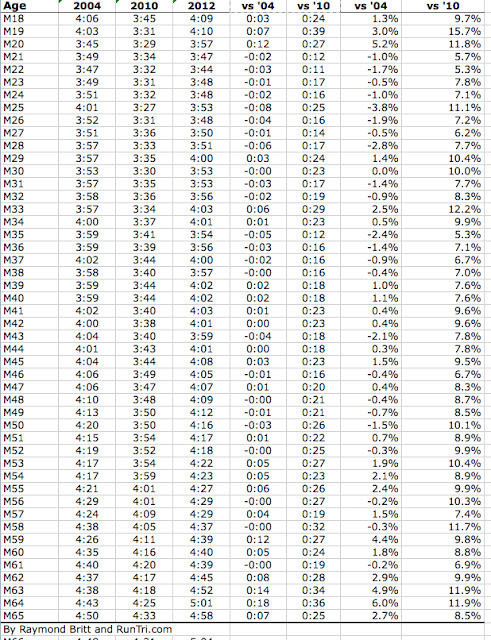 The answers are below. 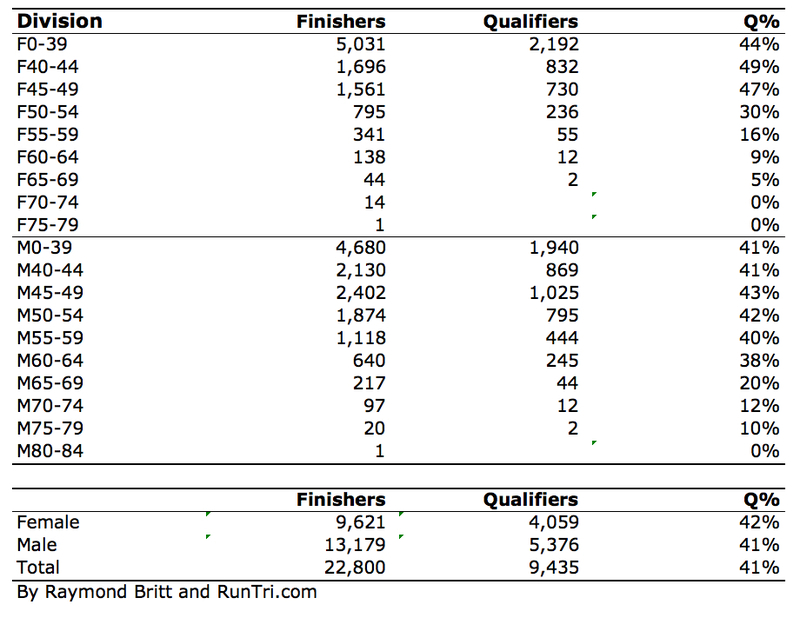 Shortly after the race, we'll be developing a summary of race results, such as those from 2011 below; we'll be posting the 2012 version as soon as data comes available. 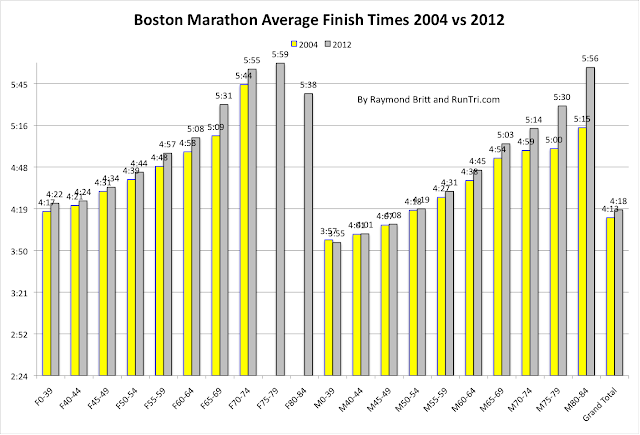 In the record-setting 2011 Boston Marathon, 23,879 finished the legendary 26.2 mile course in an average time of 3:54:31. 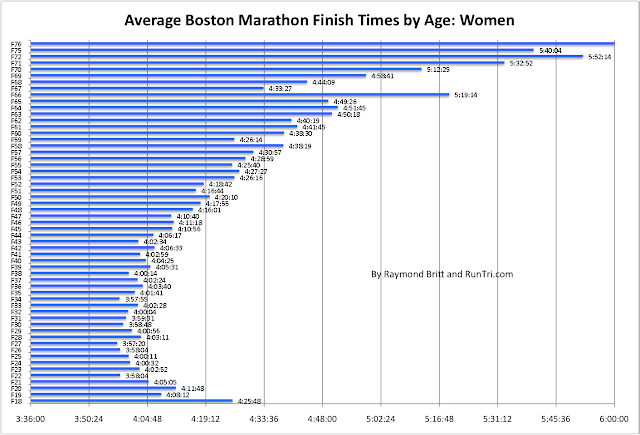 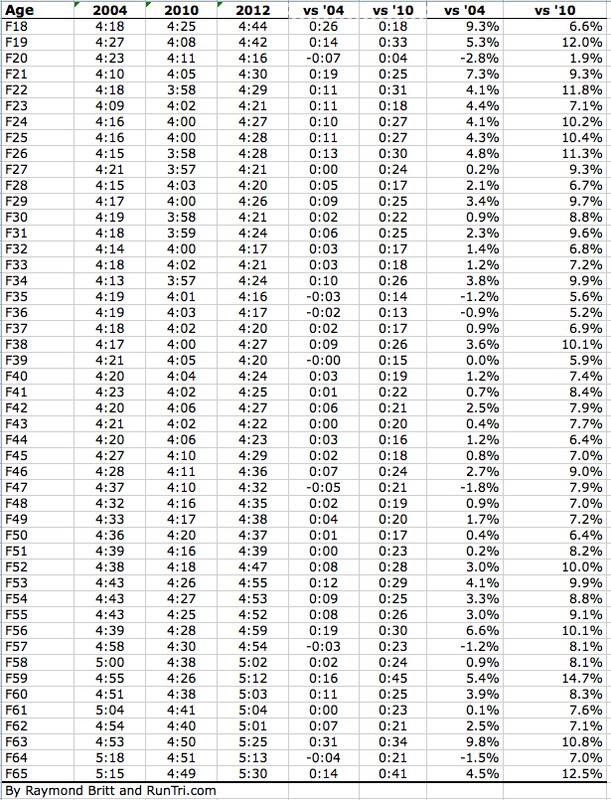 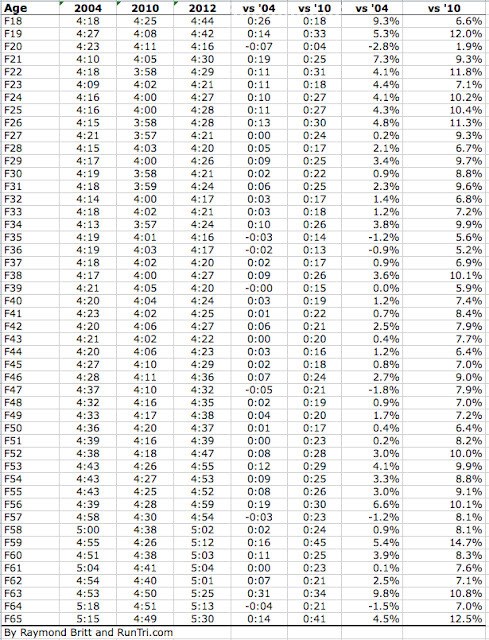 See our complete analysis of average finish time by gender and age. 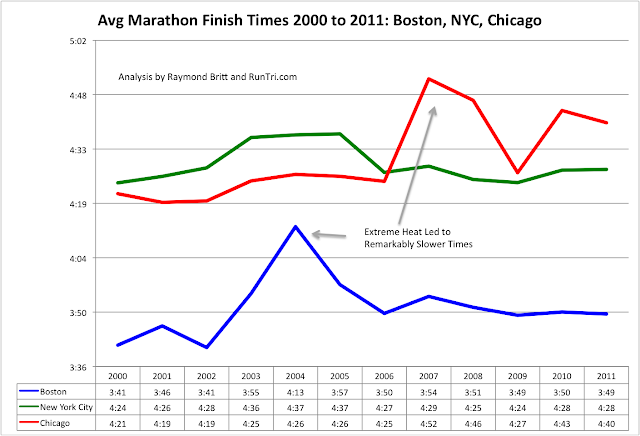 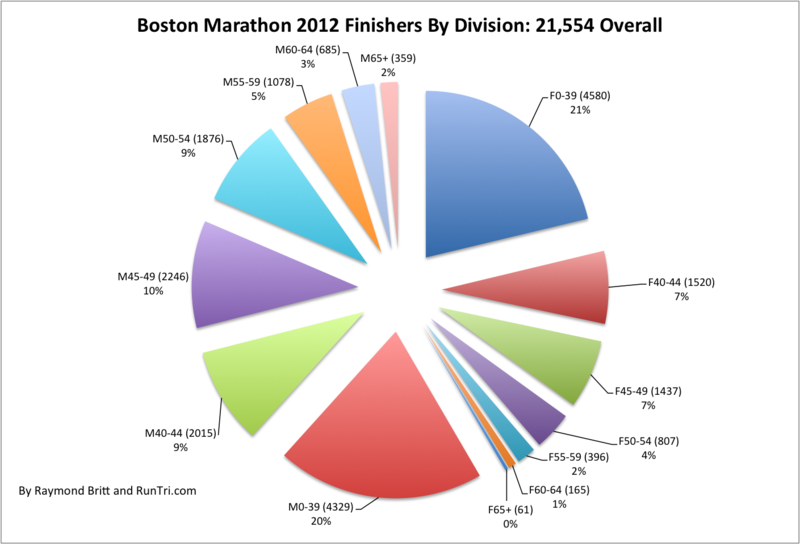 More than 9,400 runners (41% of total) in the 2010 Boston Marathon ran times that will qualify them for the 2011 race. 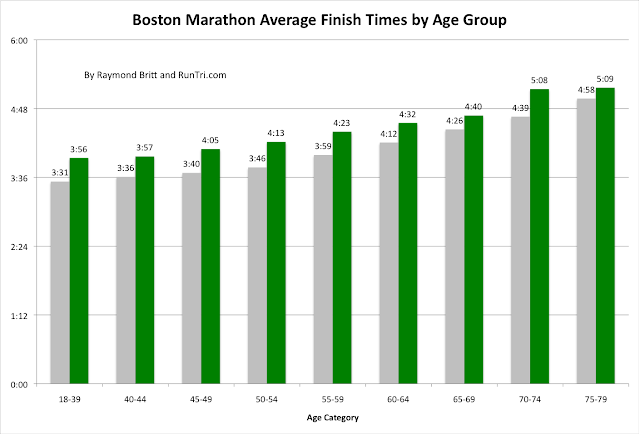 Leading the way, nearly half the F40-44 age group ran qualifying times. 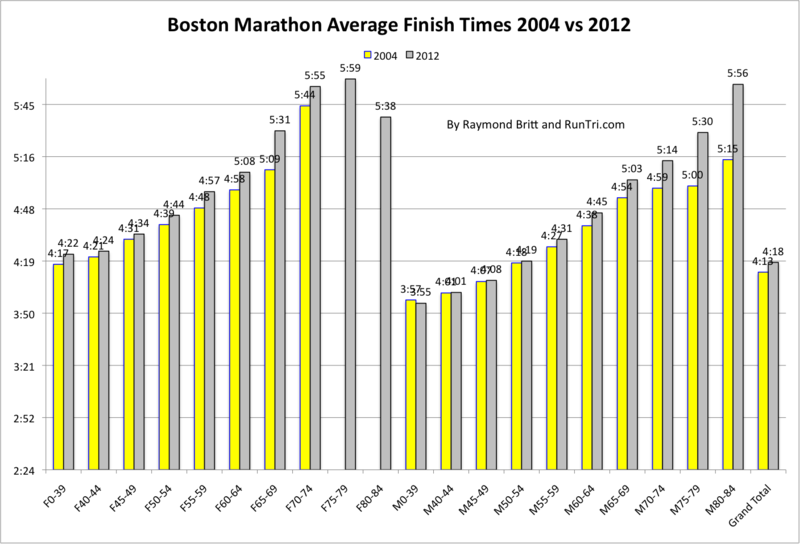 Impressive numbers, to be sure. 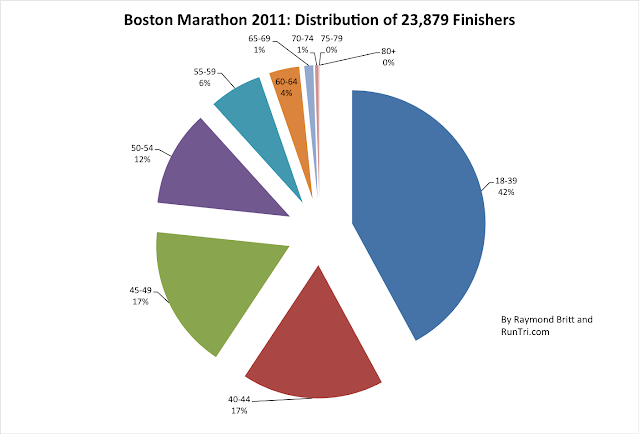 Certainly higher than any other large US race. 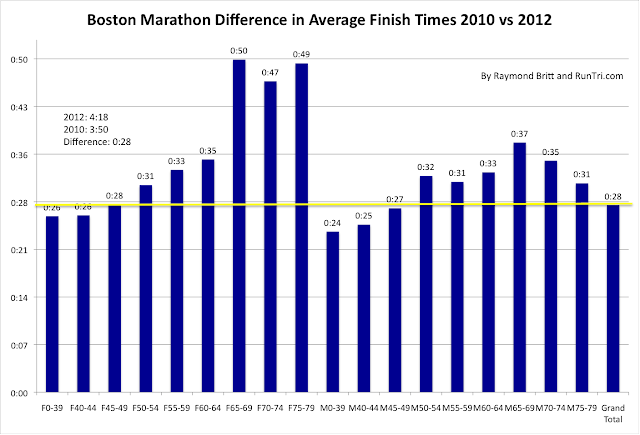 However, consider the fact that 100% of runners (except 2000+ running for charity) ran a qualifying time to get into the race. 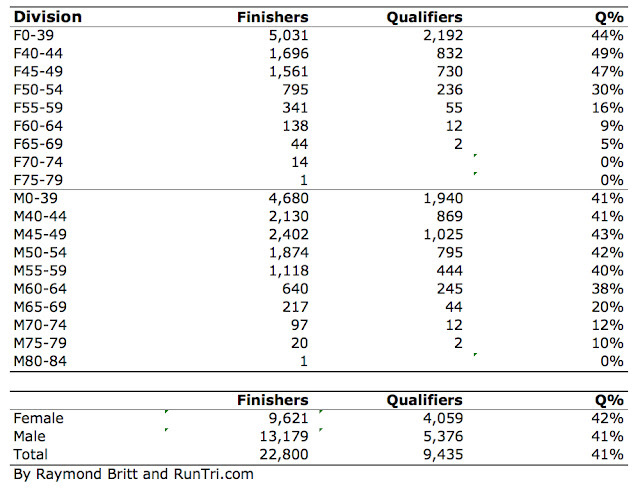 One might reasonably expect a much higher number of re-qualifying times. 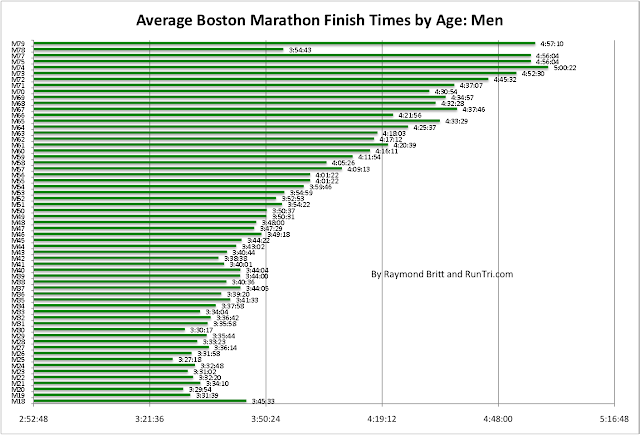 That less than half were able to run as fast as their original qualifying time speaks to the difficulty of the Boston course. 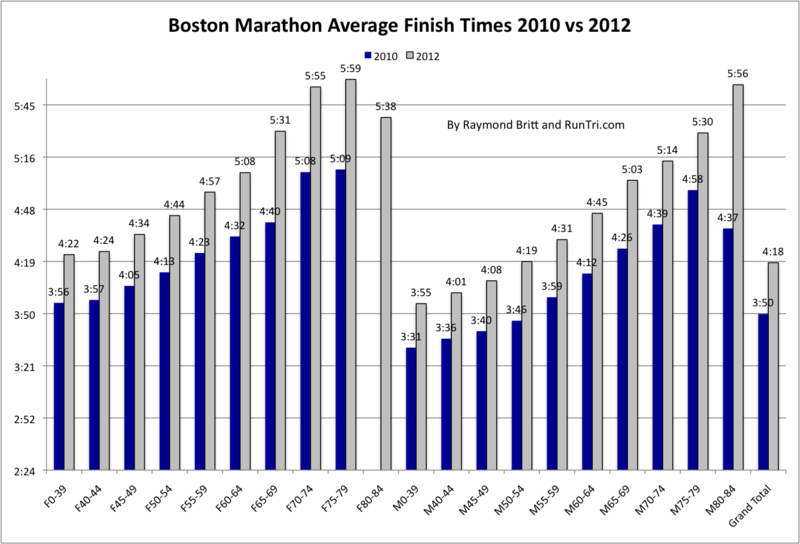 We know from experience: Boston is tough. 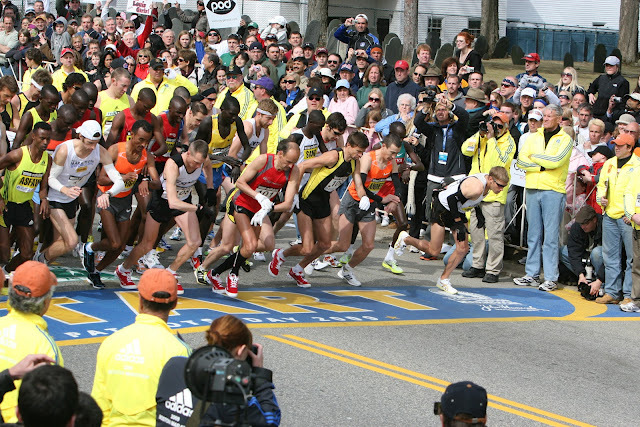 To learn more.